Xiaomi is apparently working on developing its own independent SoC solution to power the next iteration in its Redmi line of smartphones. The company is looking to join a group of select few manufacturers, who have engineered in-house chipsets and aim to put an end to the Qualcomm/Mediatek dependance. The info comes from Mr. Kevin Wang, a senior executive at industry analyst IHS Technology‘s Chinese branch. According to him, the home-grown chip is at least as powerful as the Leadcore L1860C silicon, currently employed in the more affordable Redmi 2A. The entry-level smartphone equipped with the Leadcore chip is now selling for as little as CNY 499 ($80). 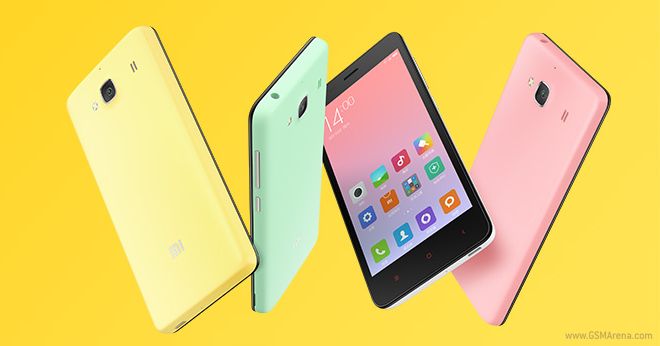 The regular Snapdragon 410-powered Redmi 2 is somewhat pricier, at about $110. Smartphone manufacturers’ success with in-house chipsets has been a mixed bag. Samsung has provided an Exynos alternative for several generations of Galaxy S and Galaxy Note series smartphones, and eventually struck gold with the Exynos 7420, found in the Galaxy S6/S6 edge. Meanwhile Huawei’s Kirin lineup, manufactured by its HiSilicon subsidiary, has gone from downright disappointing with the Kirin 910T in the Ascend P7, to moderately powerful with the Kirin 925 in the Ascend Mate7 and 930 in the recently reviewed P8. However, both the 925 and 930 have been serious letdowns in terms of graphic performance. Xiaomi’s move targets a lower segment of the market though, so their solution might be just good enough for the task.